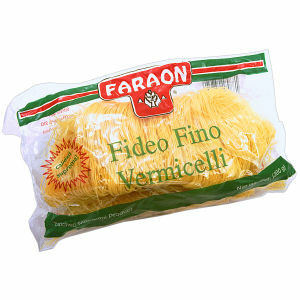 "Fideo Fino", also known as "Vermicelli" is our finest quality pasta. An incredible value! Each package has a recommended serving of four. Great for Spanish soups or as the main ingredient for many traditional Italian dishes. Faraon is your assurance of the finest quality.